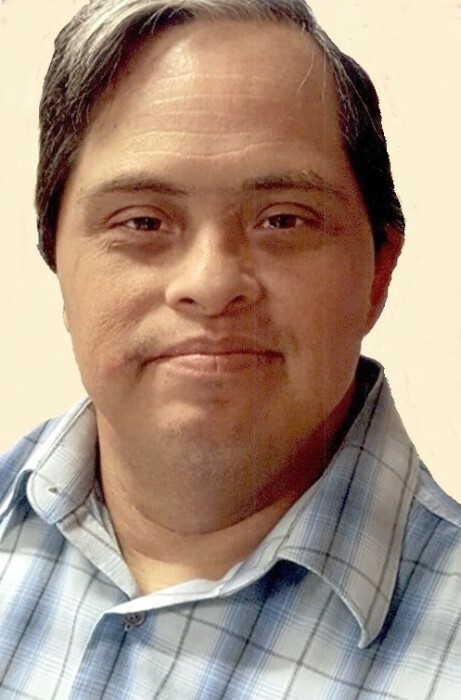 Leonardo “Leoito” Rodriguez, 45, passed away peacefully on Sunday, April 7, 2019 at M.D. Anderson Center in Houston. He was born on Saturday, February 16, 1974 in Pharr, Texas to Genaro M. Rodriguez and Emilia Castillo Rodriguez. He is preceded in death by his father and brother; Carlos Rodriguez. Leoito is survived by his mother, siblings; Rosendo (Delia) Rodriguez, Fernando (Gloria) Rodriguez, Anna Maria (Jose Luis) Cisneros, Alicia (Eduardo) Guerra, Senaida (Daniel) Ayala, Rogelio Rodriguez and Sonia (Porfirio) Aguilar, numerous nieces and nephews. Leo lived in Edinburg all of his life and graduated from Edinburg High School in 1993. He was a very happy, but private person. He enjoyed watching little league, football, especially the Dallas Cowboys. He participated annually in the Special Olympics where he won over 50 medals in different events he competed over the many years. He will be deeply missed by his family, friends and all those who knew him.